The warranty covers any defects in workmanship or materials subject to the exceptions stated below. The warranty covers the first retail purchaser of the product. The warranty lasts for one year from the date of purchase. The warranty does not apply to defects due directly or indirectly to misuse, abuse, negligence or accidents, normal wear-and-tear, repair or alterations outside our facilities, or to a lack of maintenance. You must provide proof of purchase date and an explanation of the complaint must accompany the product. If our inspection discloses a defect, we will repair or replace the product at our option, or at our option, refund the purchase price. We will return the repaired product or replacement at Arnott Tools' expense, but if it is determined by us that there is no defect, or that the defect resulted from causes not within the scope of Arnott Tools' warranty, then you must bear the cost of storing and returning the product. How state law applies this warranty gives you specific legal rights; you may also have other rights which vary from state to state. THIS WARRANTY IS ARNOTT TOOLS' SOLE WARRANTY AND SETS FORTH YOUR EXCLUSIVE REMEDY FOR DEFECTIVE PRODUCTS. 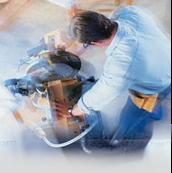 ARNOTT TOOLS SHALL NOT BE LIABLE FOR DEATH, INJURIES TO PERSONS OR PROPERTY, OR FOR INCIDENTAL, CONTINGENT, SPECIAL, OR CONSEQUENTIAL DAMAGES ARAISING FROM THE USE OF OUR PRODUCTS. SOME STATES DO NOT ALLOW THE EXCLUSION OR LIMITATION OF INCIDENTAL OR CONSEQUENTIAL DAMAGES, SO THE ABOVE LIMITATION OR EXCLUSION MAY NOT APPLY TO YOU.